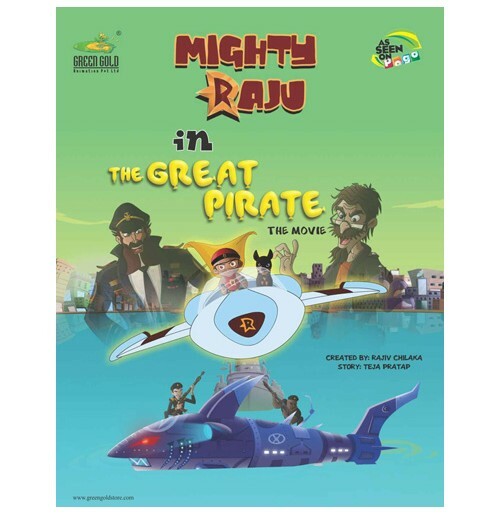 Mighty Raju is the story of a small boy named Raju, who lives with his parents and his dog Moby in the city of Arya Nagar. Rajus father, Swamy is a very famous scientist. He along with his friend turned villain Karati, has created a very powerful compound called Neutrino. When Swamys wife Sandhya is pregnant, she accidently drinks the potion mistaking it for a beverage. Neutrino is active after 5 years, and so is Raju with his super powers! Watch him having fun with his newly discovered powers and beat the daylights out of Karati and Dark Wind.You will love this story of lovable Raju which is filled with fun and Adventure!